While many variables affect commercial berry production, strict management and a scientific approach are crucial for success. 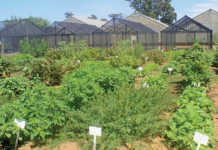 South Africa has only about 20 commercial berry farming operations. One of these forms part of the 5 000ha diversified and highly successful Fyvie Farming enterprise near Harrismith. Berry production for national and export markets is a tricky business, requiring first-class resources, crop management, marketing and food safety to achieve and maintain top quality and quantity. But meeting these requirements ensures attractive returns on investment and effort, while the consumer demand for these high-value fruits is nowhere near saturation. Husband-and-wife team Neil and Pam Fyvie established Fyvie Farming’s first berry orchards in 1995 to diversify their beef enterprise. Their daughter Kerryn helps to manage the family business. As berries are a long-term crop, with rootstocks able to remain economically viable for decades, the soil must be properly corrected before establishing the plant material. Kerryn explains that blueberries, native to North America’s coniferous forests, prefer acidic soil of pH 4. All plant material is planted at a 3m inter-row and 1m intra-row spacing to ensure good sunlight penetration for mature plants, and allow a 35kW Landini orchard tractor space to operate between the rows. Raspberries eventually grow into a formidably tall, dense hedge as the plants mature over the years. Along with regular pruning, wire trellises along the length of each row help keep the plants’ growth manageable. 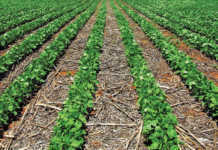 Every row is equipped with drip or microjet irrigation. If rain is sufficient, irrigation is seldom used during the plants’ growth and production period in spring and summer. Pam adds that their operation has a preventative pests and diseases management programme for its berries. The main disease threat is the fungus Botrytis cinerea, commonly known as grey mould, that can grow on the fruit. The main pest threat is the fruit fly that lays eggs in fruit on which the larvae feed. Despite a berry production history of about 18 years, the complexity of this business means that Fyvie Farming sometimes achieves less than optimal yield. 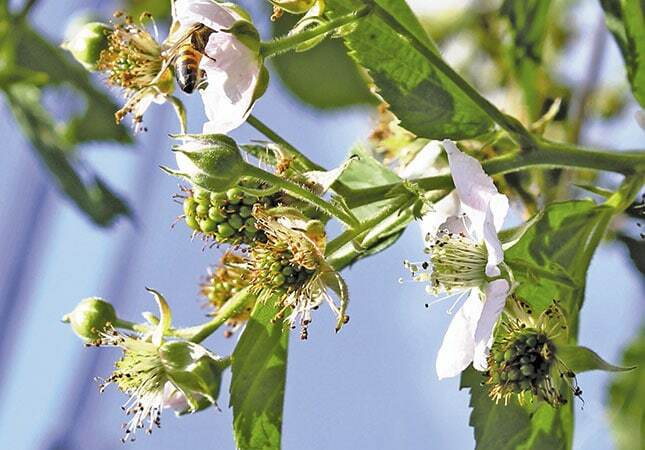 For example, a mature blackberry orchard can achieve up to 20t/ha in 6g berries. Fyvie Farming currently harvests about 11t/ha. The raspberry orchards yield 6t/ha to 7t/ ha and while respectable, this is not optimal. 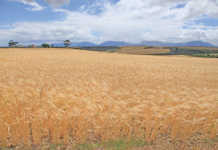 This yield is thought to be due to the eastern Free State’s soil and climatic conditions. The open-land raspberry production method yields less than tunnel-grown raspberry plants do. Phone Fyvie Farming on 058 622 2953 or email [email protected].